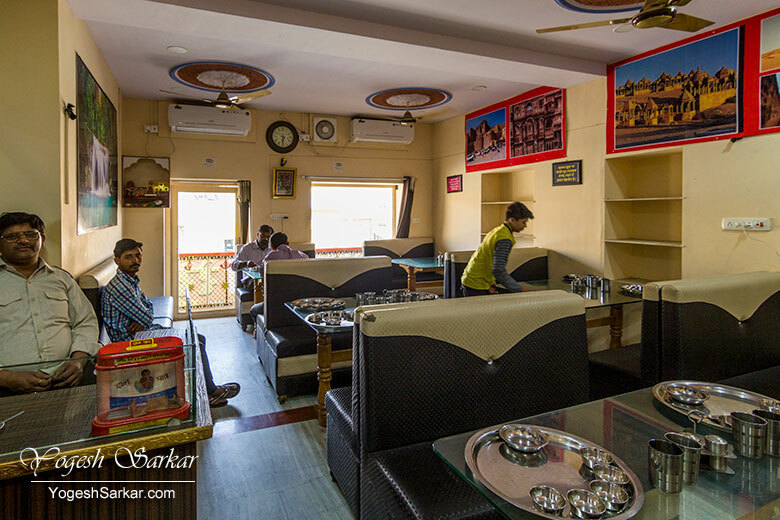 One of the biggest lures of traveling to Rajasthan for me is to taste the delicious Rajasthani cuisines and we reached the Maharaja Restaurant in Jaisalmer for exactly that reason, after it was recommended to me by Kheemraj Bhootra, who is a local and fellow photography and traveling enthusiast. 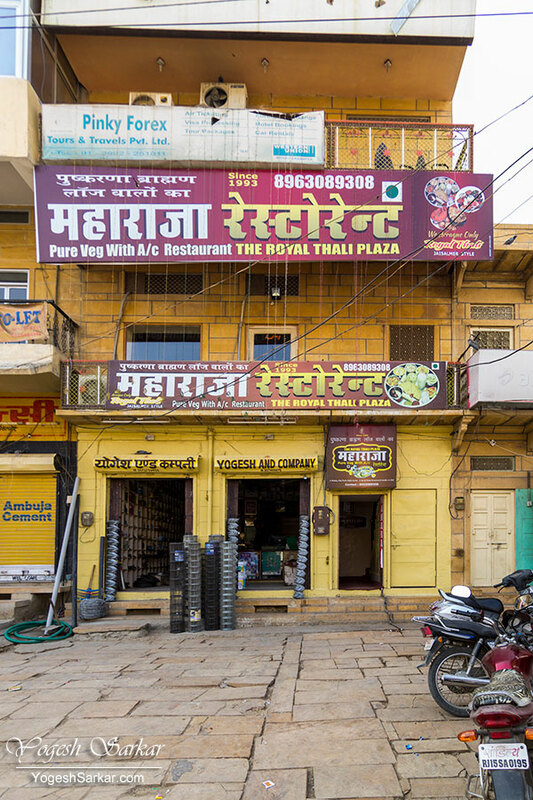 After having awful Rajasthani food at Amberwalla in Bikaner, we had high hopes for the Maharaja Restaurant. After all, it wasn’t listed prominently in any of the travel or foodie sites and had been recommended by locals, which going by my travel wisdom meant, it was an actually good restaurant serving authentic local cuisines, which the locals loved rather than just a casual pick by a bored travel writer. 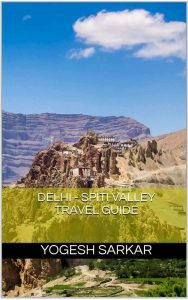 It is located on the Geeta Ashram Road, near Geeta Ashram Circle and from the outside looked like just about any other local AC restaurant. On the inside, it had the ambiance of any other local restaurant, with the exception of thalis on each and every empty table! 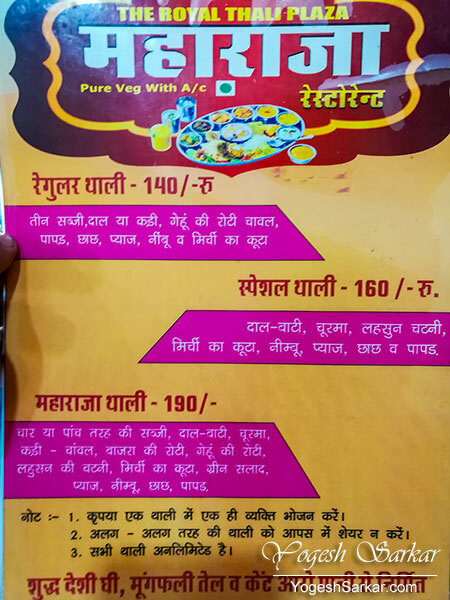 It turns out, Maharaja Restaurant has a fairly simple menu, consisting of 3 types of thalis (of which 2 were available) and they serve nothing except that! 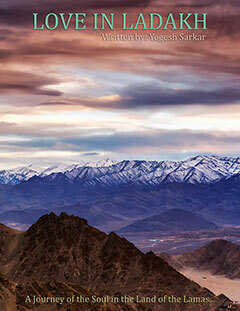 All thalis were unlimited with a caveat that they couldn’t be shared with others. 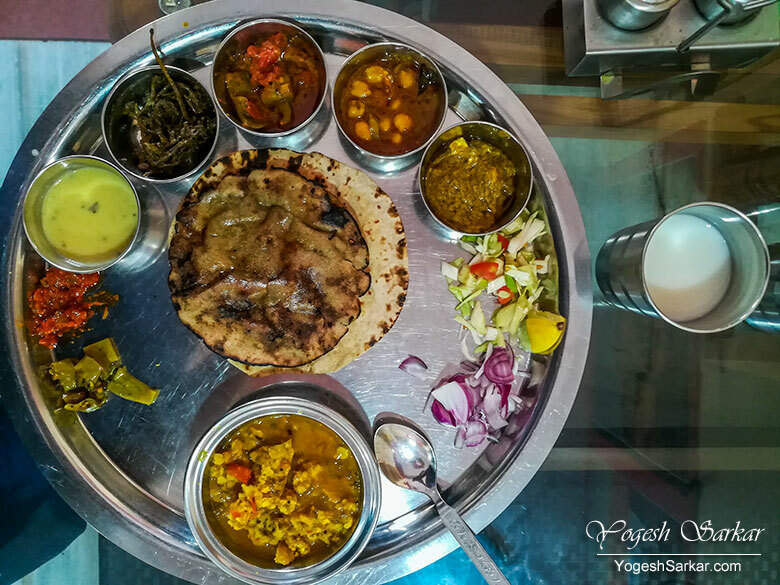 Mansi and I decided to order the Maharaja Thali, which consisted of 4 types of subzi, daal-baati, churma, kadi, rice, wheat roti, bajra roti, lehsun chutney, green chilli pickle, salad, chach and papad. The biggest issue with this thali was the fact that they kept bringing more and more stuff, and each time I would take a photo, they would bring something else. After this photo, I just gave up on taking photographs and instead concentrated on enjoying my meal. Missing from the photo are rice, churma, and papad, which were brought over after I took this photograph! Almost each and everything was delicious, and whatever I didn’t find tasty, was still well made! The fact that everything was unlimited i.e. you could keep on asking for just about anything and everything and the waiters would courteously serve it to you, made the experience all the more wonderful! In fact, we ate the maximum amount of food here and still had absolutely no issue digesting each and everything! Mansi who gets a stomach ache each time she eats something really spicy, gobbled up a lot of lehsun chutney (which is really spicy) and still had absolutely no issue at all! We loved the churma of this place so much that we would have bought quite a bit of it if it was being sold individually and the fact that unlike most places, it wasn’t dry, rather full of ghee, made it all the more delicious. During this trip to Rajasthan, I ate at some really good restaurants, including a fine dining one. However, the best food of the trip was served at the Maharaja Restaurant. And the fact that it was for just Rs. 190 (including taxes), just made it seem unbelievable. Then again, value for money proposition is what good local restaurants are known for, which are seldom visited by travelers, but are a hit amongst locals and rightly so!